Smartphones have become our best buddies and we simply can’t leave our home without them. What makes them “smart” are the millions of apps available in the app stores and are ready to answer literally any of your questions. Especially, when it comes to planning a trip, thousands of questions arise and there are so many decisions to be made. 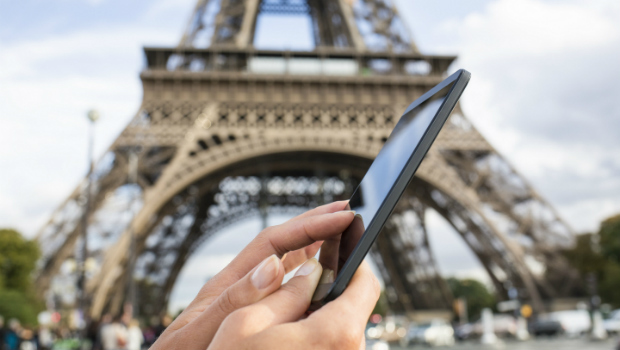 One way to make your planning easier and relaxed is to equip yourself with travel apps. You will be amazed by how innovative and smart travel apps are out there on the market, which will solve the problems you didn’t even realise you had them. We handpicked 7 cool travel apps to make your trip easier to organise and with fewer headaches while visiting your dream destination. Planning a trip starts with the booking process. It usually involves hunting down the best deals on flights and hotels, as well as using your loyalty points and rewards. It may take up to few hours logging in and reviewing everything you have, so it would be great to have it all organised in one place. Award Wallet is an app which will link to all your accounts and keep you up to date with your frequent flier miles and loyalty cards’ points. This travel app is an essential tool especially for those who travel frequently throughout the year and would like to save money using their rewards. In our busy, everyday life, a personal assistant may come to hand. However, this luxury most of us can’t afford it, so here comes the closest thing to it – WorldMate. This travel app will organise all details regarding your trip including bookings for hotels, flights, airport transfers etc, simply by sending all confirmation emails for these services to trips@worldmate.com. You will have all these details organised in one app and if you upgrade to Premium plan ($9.99/year), you will receive alerts regarding flights delays or gate changes. Planning a holiday is always exciting. Choosing a destination, booking a hotel and research about the place you’re going to visit. Unfortunately, the fun ends when you come to the part where you need to pack. That’s when you end up with more stuff than you can take and you find yourself in an endless loop of packing. This is where the app PackPoint comes handy. Good planning and organisation are essential when it comes to packing, and this travel app will help you with that. It requires you to input your destination, the reason and the time frame of your visit, and the app will suggest a list of must-have items for your holiday. It’s up to you if you will follow the list, but it’s a good start. This app may seem funny to you, but it actually does what the name says. Toilet Finder app is a truly practical travel app which lets you locate free toilets all over the world. You can download it for free on iTunes and check the nearby toilet facilities. If you’re not keen on using public toilets, the good thing is that you can check the rating and user feedback on the facility. So, when you find yourself in a case of emergency, instead of wandering around, you can easily find toilet of your choice. When you’re travelling in a group, no matter the size, you’ll find yourself in multiple situations where you need to split the bills. At the end of the trip, when it’s time to settle the debts at the end, you end up with lots of bills and endless calculations. Cost split is a brilliant travel app which allows you to set up a budget per trip and add the names of your companions splitting the costs. You’ll be able to keep track of the spending per person by adding each expense they made and who was it for. By running a simple report in the app, you’ll get a detailed overview who owes to whom. No more complicated calculations and headaches. Every country has its own set of driving rules, and like the stress of driving in a foreign country is not enough, there we have the parking space issue. Instead of losing precious time before your trip on researching parking spots on the internet and locating them on your GPS app, Parkopedia is the perfect buddy for your next road trip abroad. This app has a vast database with over 35 million parking places in 52 countries all over the world, so next time you’re in Rome, Barcelona or Los Angeles, you won’t have to drive around. Using your GPS services, the app will locate the available parking spaces along with the pricing information, including payment options and working hours. While being on a trip, keeping up with your everyday online life and sharing your moments with your family and friends back at home is essential. Sometimes data roaming charges may cause your bill to skyrocket, so finding a free Wi-Fi hotspot is necessary in this case. Instead of “hunting” a good Wi-Fi hotspot with your handset around the city, the guys at JiWire created the Wi-Fi Finder app, which will guide you to the closest Wi-Fi source. The best thing is that you can download the maps before you go and use them in offline mode.